Today my kitchen smells so good I don't want to go out ... . 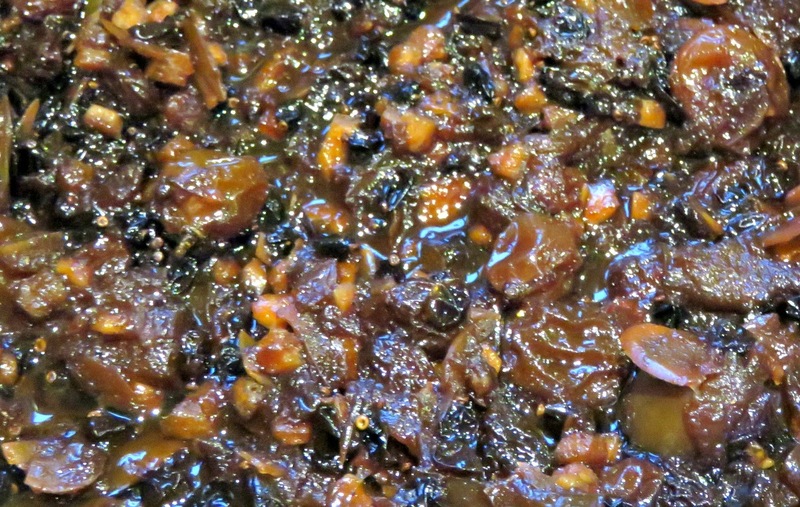 I'm making my Christmas mincemeat, and the smell of fruit and spices is truly wonderful. It's the very aroma of Christmas itself, and totally guaranteed to restore your Christmas mojo if you're struggling to get excited about the festive season. 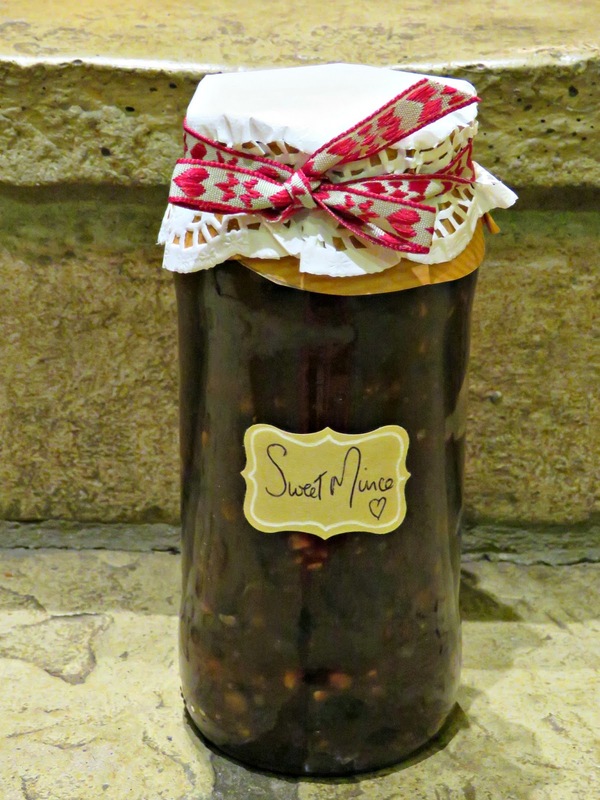 If you'd like to give it a go, it's really easy, and you can keep it in preserving jars to give as gifts or to use as and when people pop around for a catch-up over the holidays. At this time of the year I keep a few packets of pre-rolled puff pastry in the fridge so that I'm all ready to go if I need to scramble and knock out some mince pies and/ or sausage rolls at short notice. 1 large Bramley apple, cored and chopped into smallish cubes. There's no need to peel it. 150g shredded suet. I like to use Trex, a low-fat vegetarian alternative. 1. Mix all of the ingredients except the brandy in an oven-proof saucepan. Grate the orange zest and lemon zest and add to the mixture. Juice the lemon and the orange and add the juice to the mixture as well. It is important to have everything mixed really well. 2. Place the lid on the saucepan and cook in an oven, pre-heated to 150º C, for 3 hours. Take it out halfway through and stir well. Then return to the oven for the remainder of the cooking time. 3. When it's cooked remove from the oven and allow to cool down, stirring it regularly as it cools to ensure that the fat coats everything evenly. Don't worry if it looks like it's drowning in fat: that's normal! Add the brandy, and stir again to mix it through. 4. Bottle in sterilised jam jars sealed with wax seals. You should sterilise your jam jars by washing them thoroughly in warm water, drying them on the outside only and placing them open end up, in an oven that's been pre-heated to 150º C for at least 20 minutes. Wash the screw top lids and place them inside side up in the oven for 20 minutes also. 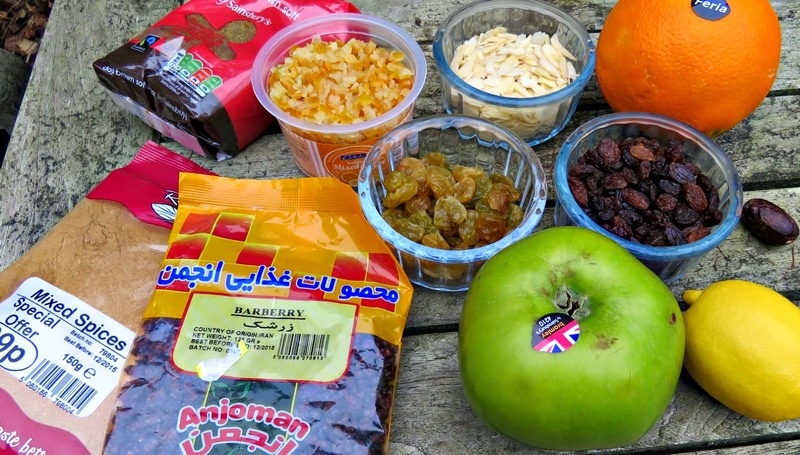 I explained how to do it here: Clementine and Cardamon Marmalade. Your pictures are great. I loved your staircase, a few posts back. It looks like walnut. 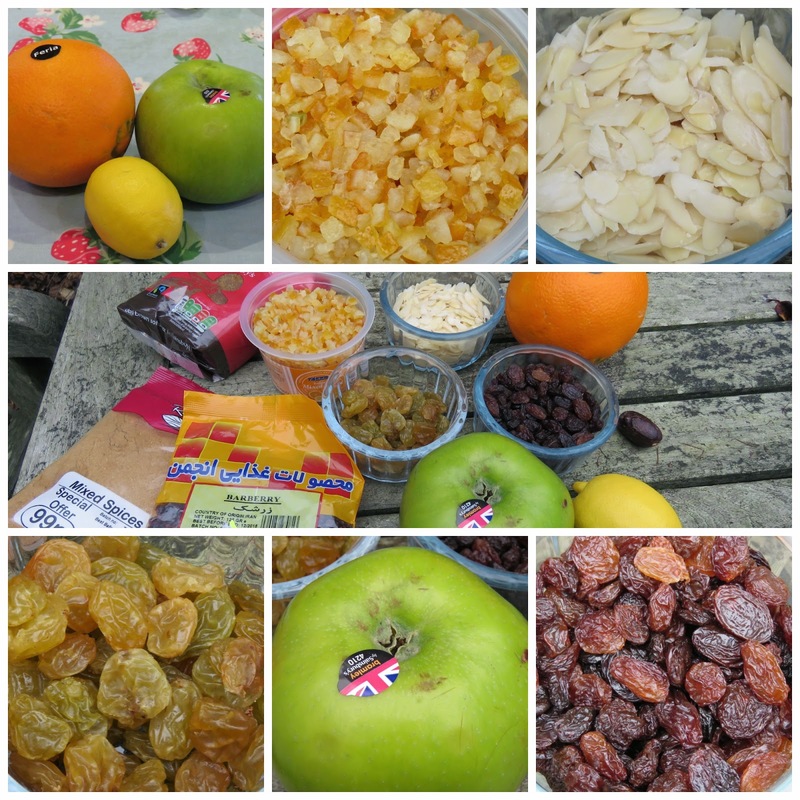 We're not lovers of mincemeat but your post made me unmearth my recipe for Xmas cake, which has many of those ingredients in. I used to bake it in coffee tins, to get round slices. Want to see my sox? I knew it! We are sisters under the skin. Jam jars is only the tip of the iceberg. The glas Patak curry sauce jars are brilliant too, and of course, I have a passion for Evian bottles. Seeing that I drink nothing else, even for coffee and tea, we have thousands of them, I use them for so many things. You'd be surprised. Where can I find your email address so I can invite you to my private blog. I'll put my sox on there too. What goes inside those woolly globes to keep the shape? Gosh I'm intrigued to know what you do with all the Evian bottles. I put soft toy stuffing inside the woolly globes to keep their shape. Thank you, I'd be honoured to be included in the readership of your private blog. I will leave you a message with my e-mail address and look forward to seeing the sox. sox and bottles are up. You got the invite? I am not a big mince meat / mince pie lover, but I do admit I love its smell, it's so Christmassy. 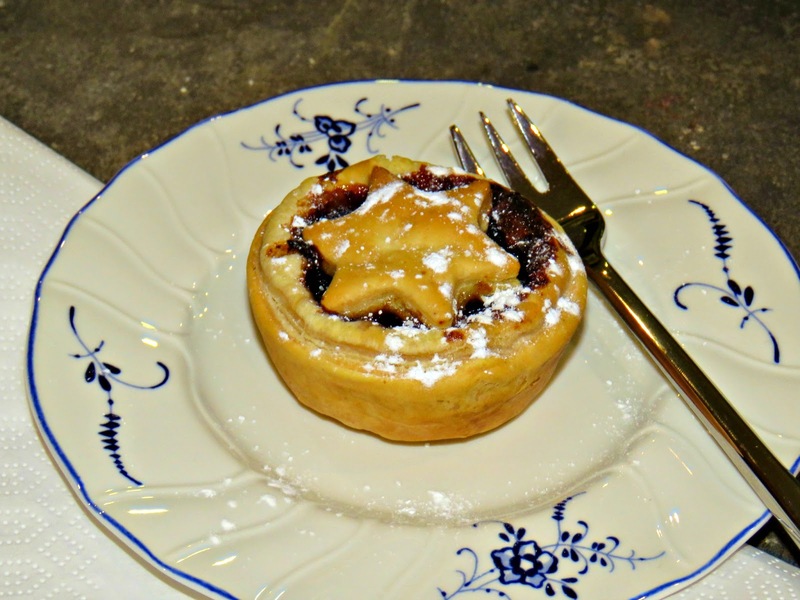 :) Is it true that originally British mince pies always contained real meat too?